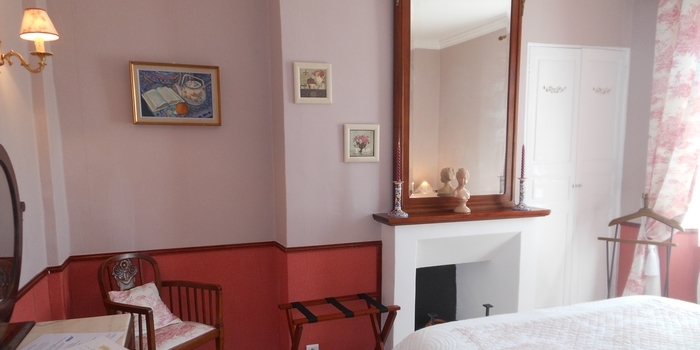 and a suite for 2 to 4 people (43 m²) with two separate bedrooms, bathroom and independent toilet. All our rooms are located on the first floor, and their bathrooms have natural light. The Aurore room opens to the east on the hamlet of the Huguets. You will appreciate the bluish colours of its decoration. 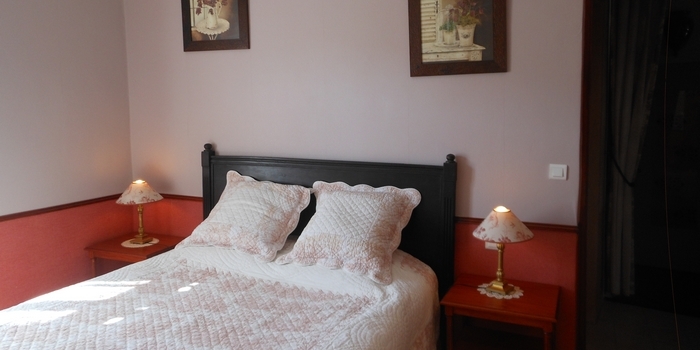 Price per night for 2 people : 82 euros per night breakfast included. Degressive prices from 3 nights. With its Provençal colours, the room Léa enjoys the setting sun, and the view over the countryside of Roussillon. Hot and cold drinks available in the room. Queen size bed, corner lounge in the room. Price per night for 2 people : 92 euros per night breakfast included. This spacious room, tinged with tender green, is appreciated for its freshness and its view of the garden and terrace. The Agnès suite consists of 2 rooms : one with a bed 160 X 200 and the other with 2 beds 90 X 190. It is accompanied by a shower room with an Italian shower, and independent toilet. It is rented either for 2 persons (Agnès room) or for 4 persons (Agnès suite). The main chamber opens to the south on the hamlet of the Huguets. The second is oriented to the north. 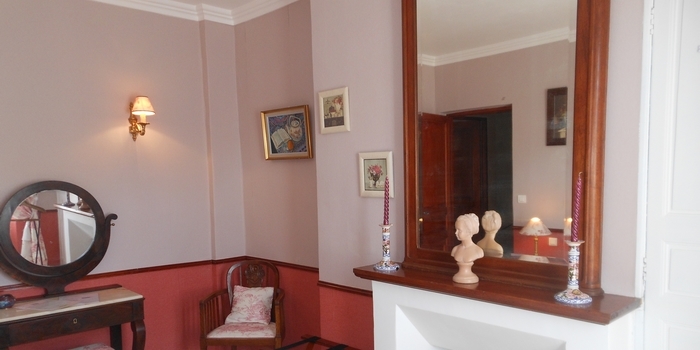 Price per night for 2 people : 92 euros per night breakfast included, or 142 euros for 4 people.